Welcome to Geneva!! Geneva, often referred to as Peace Capital of the World, is situated between the shores of Lake Geneva and Mount Salève. After Immigration clearance and baggage collection, head to the train station from where you can board the train for Montreux. The Railway Station in Geneva is connected to Geneva International Airport. Enjoy the train journey with fantastic views. Upon arrival, transfer to the hotel and relax. 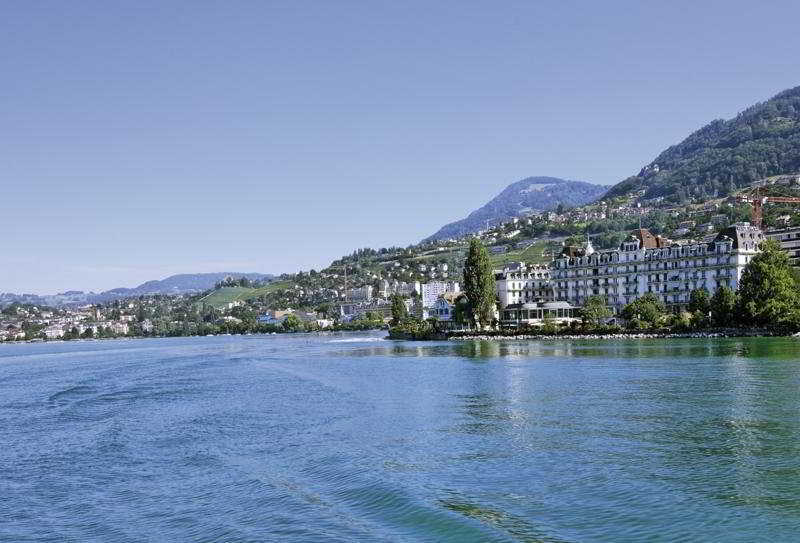 Montreux is famous for its beautiful location on Lake Geneva. It is known for its historic architecture, the picturesque lanes, historical sights and exclusive shopping facilities. In the evening, stroll around the nearby areas admiring nature. Overnight stay at the hotel. Today, visit the Charlie Chaplin Museum dedicated to the life and times of Charlie Chaplin. Discover a site dedicated to Charlie Chaplin, the artist and the man. Meet Charlie Chaplin, family man, in the Manoir; embark on a singular journey through the sets of his greatest films at our Hollywood-style Studio; take a peaceful walk in the gardens; and don't forget to round off your visit with a stopover at our shop before heading to our cafe-restaurant, The Tramp. Get ready for an unforgettable experience! Return to the hotel. Overnight stay at the hotel. After breakfast, head for an excursion to Glacier 3000. Take the scenic train Golden Pass to Gstaad, a rather charming, attractively located mountain resort full of restored weathered-wood chalets - and an abundance of jewelry and other shops. Get on the gondola for the ride to the Glacier 3000 which is only a 15-minute cable car ride up. Nowhere else can you get up to any Swiss glacier that fast. And this panoramic ride alone is already an adventure, offering a view onto the beautiful Saanenland with the Arnensee and the gigantic alpine massif. The highlight is the only peak to peak suspension bridge in the world, the Peak Walk by Tissot - is an adventure within itself. Guaranteed to raise your adrenaline level even higher is a wild glacier ride on the highest situated toboggan run in the world – the Alpine Coaster. Enjoy your day!! Return to Montreux. Overnight stay at the hotel. This morning, travel by train to Geneva and visit the Chillon Castle which is located on a rock on the banks of Lake Geneva. The water castle is the most visited historic building in Switzerland. The castle looks like a fairytale fantasy, but it’s an authentic Medieval site – and has foundations from back in Roman times. Inside the castle, you’ll discover that the buildings and out-houses of the castle are orientated around four small courtyards. The largest of the courtyards is ‘The Courtyard of Honour”, a site of ceremonial importance and the ‘grandest’ of all these communal-areas. D’nt forget to carry your camera to capture this architectural jewel. Return to Montreux. Overnight stay at the hotel. Gear up for an exciting day!! The charming cogwheel train departs from the Vevey railway station, and for approx. 40 minutes the Star Train with panoramic windows climbs steeply its way through the Vevey heights towards the village of Blonay and then up to Les Pléiades. Whether ascending from Blonay or descending from the upper station towards the plain, there are numerous well marked trails for hikers, walkers or mountain bikers. Les Pléiades is a real paradise for sports lovers, especially for paragliding enthusiasts and mountain bikers, and for those who enjoy mountain scooters. Return to Montreux. Overnight stay at the hotel. Today, check out and proceed to Geneva Airport by train for your onwards journey. The tour ends with happy memories! !